At Takdir (meaning fate) their principles are simple. They aim to bring their passion for authentic Indian food, through their distinct ingredients and creations, and their desire to continue to evolve and fuse old heritage and contemporary flavours. This Indian restaurant has been running successfully under the same ownership since 1979 and is perfectly situated on East Parade, looking out onto the sea. 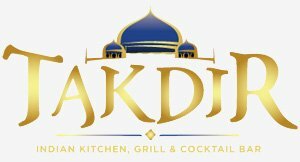 With many Indian restaurant favourites on the menu including Biriyani, Korma, Bhuna, Roganjosh, Vindaloo, Madras and meats from the Tandoori Grill, along with a menu of mouth watering cocktails, you'll want to pay a visit.